I just pulled the head off my Tii with 121 head. These are the pistons in the car, they look fairly fresh and not stock. It would be interesting to look on the bottom of the pistons and see who made them. They are someone's idea of a custom "high(er)" compression piston. 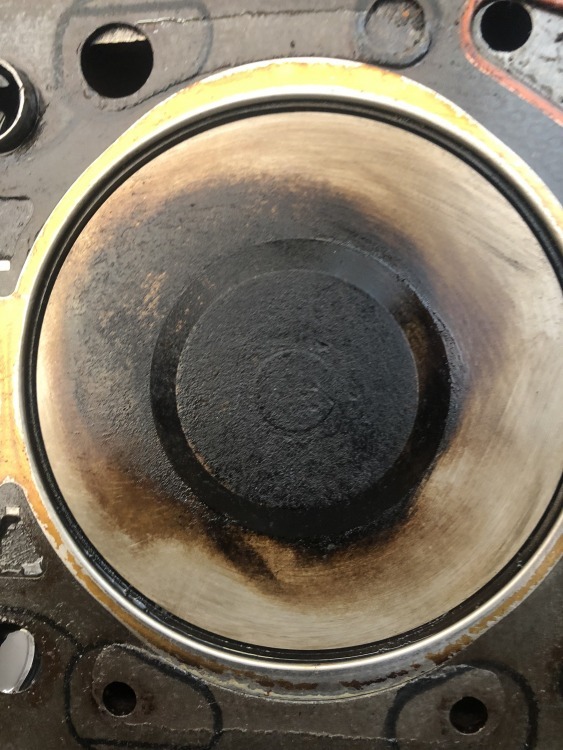 You would need to CC the top of the piston to get any idea of what compression ratio you are running. I have never seen a M10 with a piston dome like that. As Byron said never I've never seen that style piston in a 02 they almost look like a diesel piston no idea of the c/r or what those will do to the swirl pattern. 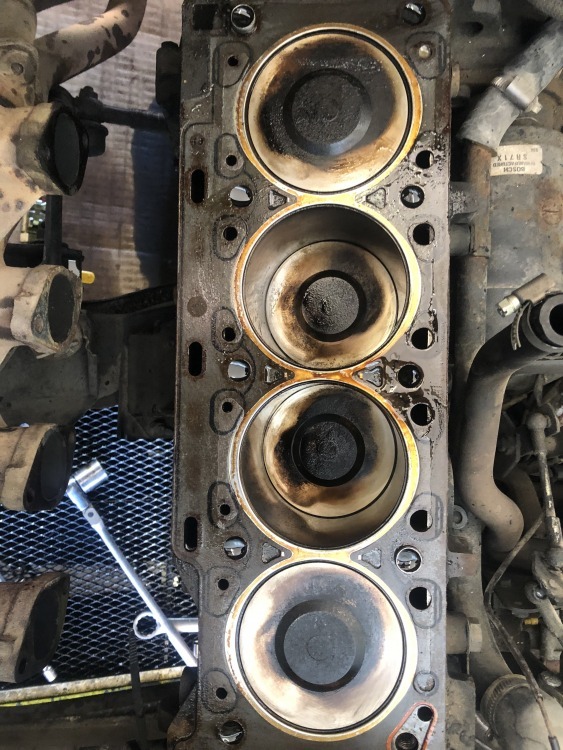 What does the cylinder head CC look like? Got any idea who built the engine? This will be a fun thread to follow. How about a picture of the combustion chambers in the head? 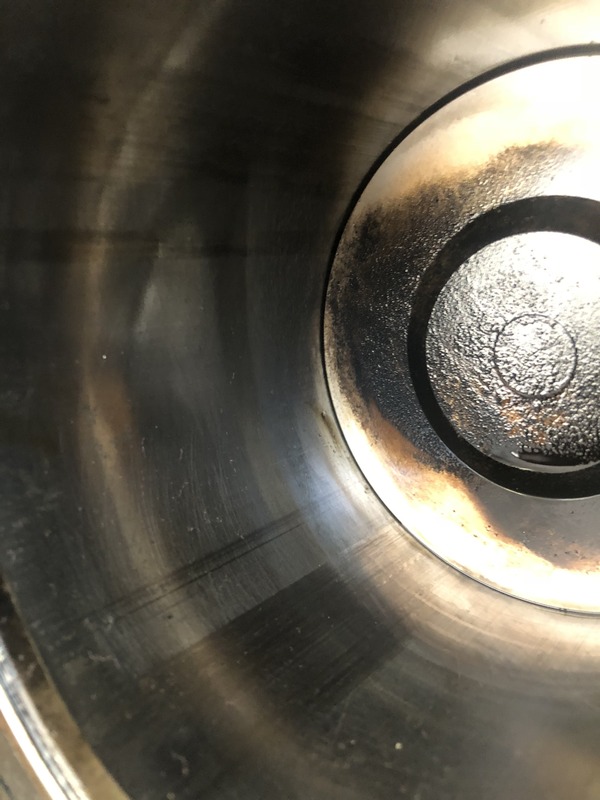 The combustion chamber looks normal, the exact same as another 121 Head I have. I dropped it off at the machine shop already so I can’t post pics of the head. All I have is an address to the previous owner from 12 years ago, so I wrote him a letter and mailed it. Hopefully he will call within a couple days. never seen one of those either. What is the VIN # on the block this will be the clue of what engine you have. BMW diesel engine biggest bore pistons are 87mm in a 4.4 liter M67 made in 2005 which is smaller than the 2 liter in our cars based on the research I seen. Engine Vin # is matching to the car 2762093. Right Chris but are they BMW pistons? or are they from a John Deere tractor with the same bore and stroke thats what is going to make this thread fun. oh oh looks like Toby has sniffed out the trail. +1 those are the 1.8 L pistons. Alex VonFalkenhausen long lost secret hemi-piston (no doubt aboutit). Don't 318i pistons look like this? Maybe some US model is like that, I don't know. But then there should be also short throw crank because of the pin location.